TEDxWakeForestU: Power of Curiosity took place on Feb. 18 with the help of several Salem College students who participated in the building of the stage. 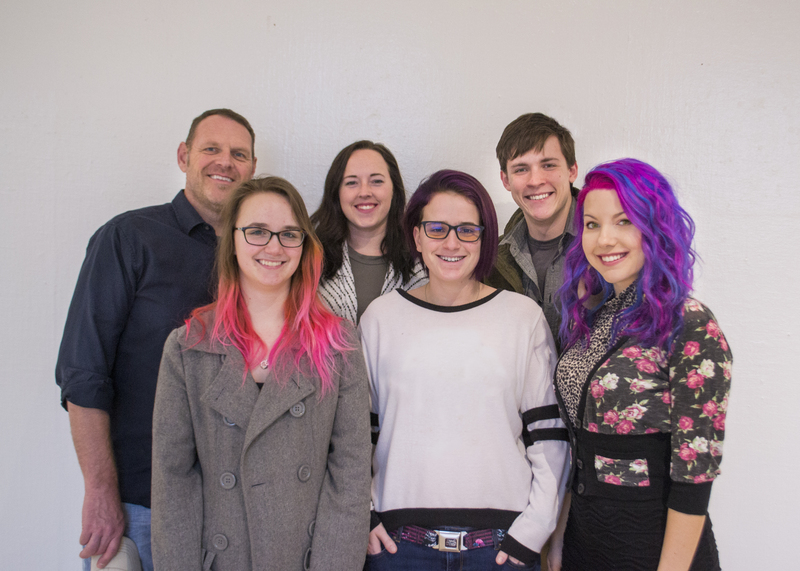 The team of Salem students consisted of junior Blair Zavitz, sophomore Jessica Ritter, senior Alan Shelton and Veronica Nielsen from the Art and Design department. The rest of the team included Katie Pendry and Daniel Morales from FTCC. The event was held in Wait Chapel at Wake Forest University. The TEDxWakeForestU conferences began in 2012 and is entirely put together by Wake Forest Students and other colleges’ students. The conferences are considered a TEDx because it is an independent event under the name TED much like franchises under the corporate name. The speaker lineup for the event consisted of Joe Callahan, Amelia Dunlop, Dmitry Sitkovetsky, Otto Bell, Ever Lee Hairston, Jeremy Cage, Anna Cianci and Story Musgrave. Callahan is the current CEO of Ciright Companies, TriState HVAC and a number of other technology firms. His talk revolved around updating hospital standards for air quality, especially in surgical rooms. He explained the ongoing wars between humans and bacteria and Ultra clean air facilities as a solution. Dunlop reflected on her life and explained how she lost love. She referenced a Buddha poem that represented her quarrel with accepting love due to her fear. Sitkovetsky, a Russian violinist and conductor, told his life story and how he made it from Russia to the United States with few resources. He showed his lineage and explained how he was destined to be a musician. Bell, a director of 15 documentaries, presented his latest film, Eagle Huntress. He talked about about his process during filming and having minimal supplies while filming the documentary. He expressed his fascination with the Mongolian girl and her story. The next four speakers were presented in the second half of the talk. Hairston suffers from Retinitis Pigmentosa that began during her teen years. She had fought for civil rights during the 1960s. She explained how she moved past her vision loss and was capable of becoming the President of the National Federation of the Blind. Cage has an impressive 30-year track record of delivering profitable business growth for PepsiCo, Procter & Gamble and other companies. He spoke of business tactics and how they can be applicable outside of the office. He applied the tactics to a risky sailing trip he took with his family of four around the world from the Atlantic to the Pacific ocean. Musgrave gave a lively presentation on his life story and how he took his curiosity and turned it into his career. His track record includes 30 years of being a NASA astronaut, lead repairer for the Hubble Telescope, working on Challenger’s first mission, serving in the Marines and 18,000 hours of air time in 160 aircrafts. His degrees include seven graduate degrees in math, computers, chemistry, medicine, physiology, literature and psychology and 20 honorary doctorate awards. For more information or to view the talks visit www.tedxwakeforestu.com.